Michael Ondaatje's novel won the Governor General's Literary Award for fiction in 2000. Anil Tissera, born in Sri Lanka but educated in England and the U.S., is sent by an international human rights group to participate in an investigation into suspected mass political murders in her homeland. Working with an archaeologist, she discovers a skeleton whose identity takes Anil on a fascinating journey that involves a riveting mystery. 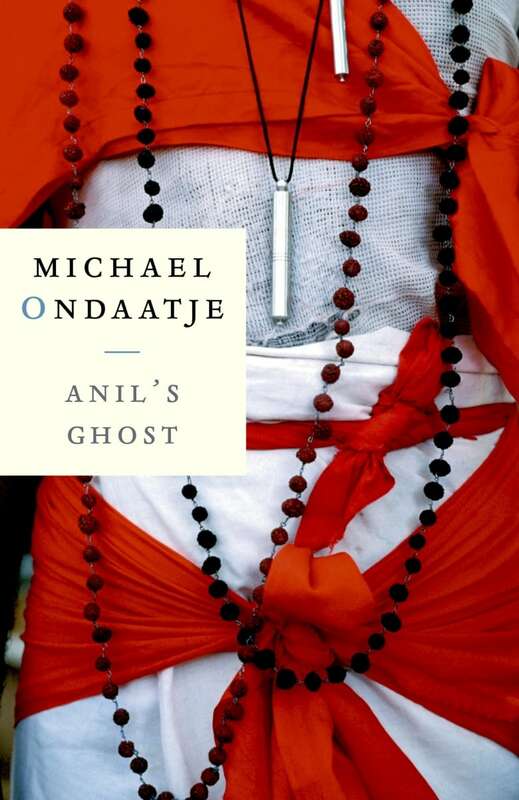 Michael Ondaatje was awarded the Giller Prize and the Governor General's Literary Award for fiction in 2000, both for Anil's Ghost. "American movies, English books — remember how they all end?" Gamini asked that night. "The American or the Englishman gets on a plane and leaves. That's it. The camera leaves with him. He looks out of the window at Mombasa or Vietnam or Jakarta, someplace now he can look at through the clouds. The tired hero. A couple of words to the girl beside him. He's going home. So the war, to all purposes, is over. That's enough reality for the West. It's probably the history of the last two hundred years of Western political writing. Go home. Write a book. Hit the circuit." From Anil's Ghost by Michael Ondaatje ©2000. Published by Knopf Canada.